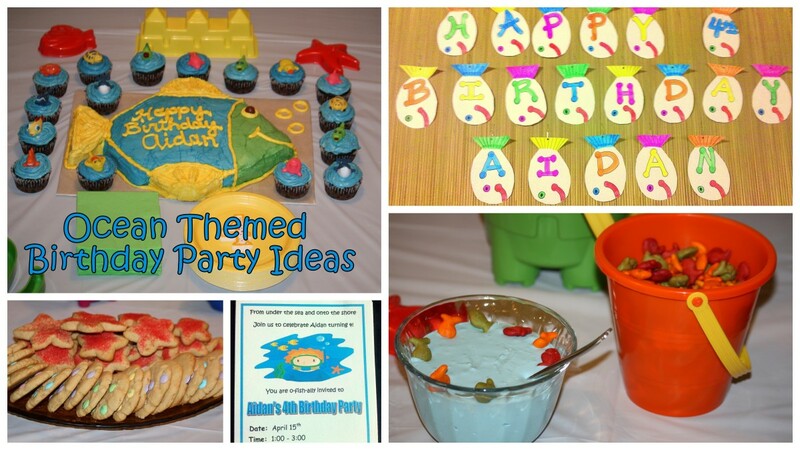 A fun and easy idea for a kid's birthday party is one with an ocean theme. Turn your home into an under-the-sea oasis with different kinds of fish, whales, sharks, and other ocean animals. If your child loves the beach, this party idea is sure to be a winner. As a mom on a budget, I strive to find ways to cut down on the costs of my kids' birthday parties while still creating an event that they will love. For this ocean-themed party, I made my own invitations, decorations, and cake. I also created a fun game that the kids really enjoyed. 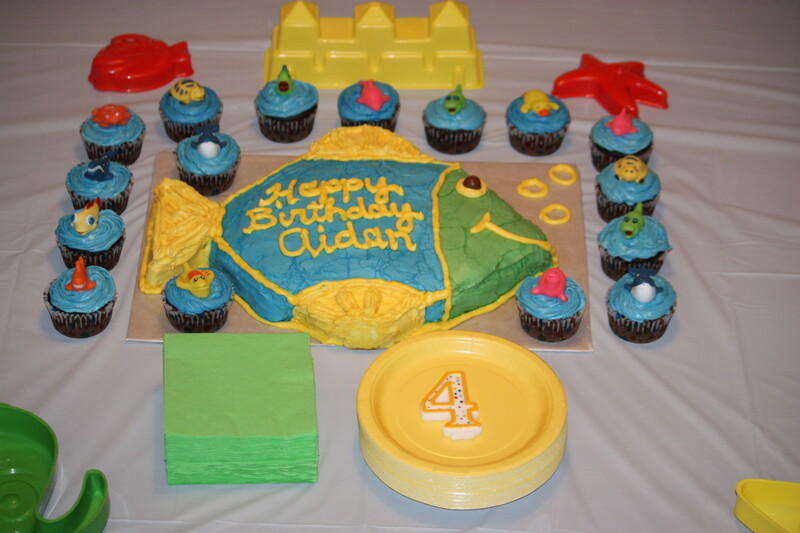 So if you are looking for some creative ideas for your ocean party, here are several party ideas that we used for my son's 4th birthday party. Making your own birthday party invitations is an easy way to save some money on any kind of party. With the help of a computer and the Internet, find a fun piece of clip art that you can attach to your invitation. Here are the steps that I took to creating our party invitations. Set your document layout to 5 x 7 borderless. Add colored border around invitation. Attach clip art to desired area of invitation. Enter wording and party details. Print on cardstock or invitation paper. For the wording on this invitation, I found a cute ocean poem that read "From under the sea and onto the shore...Join us to celebrate with cake and more!" Since my son was turning four this year, I changed the last part to "Join us to celebrate Aidan turning 4!" 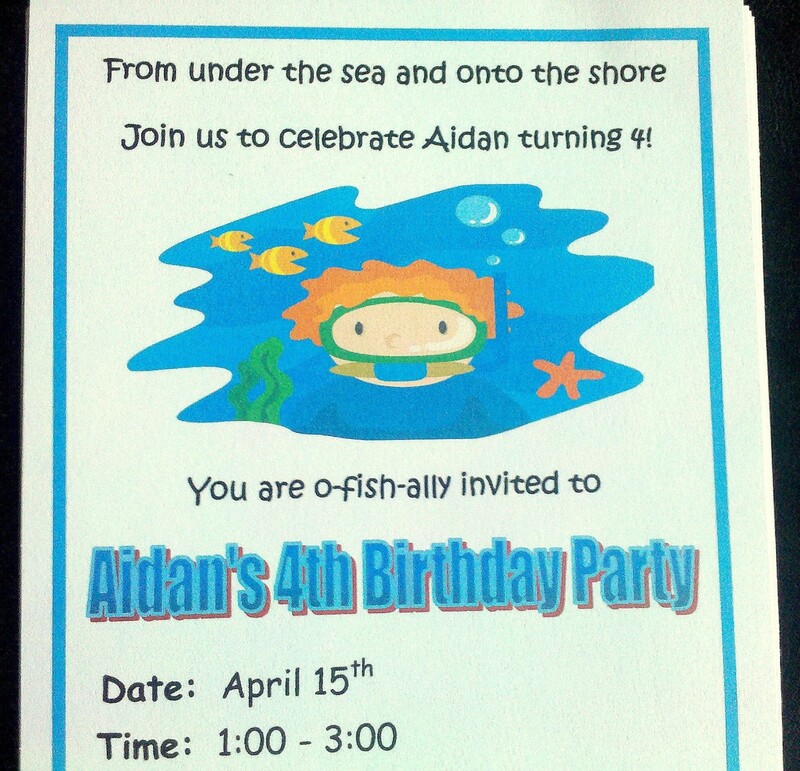 I also added "You're o-fish-ally invited to Aidan's 4th birthday party" for a fun play on words. 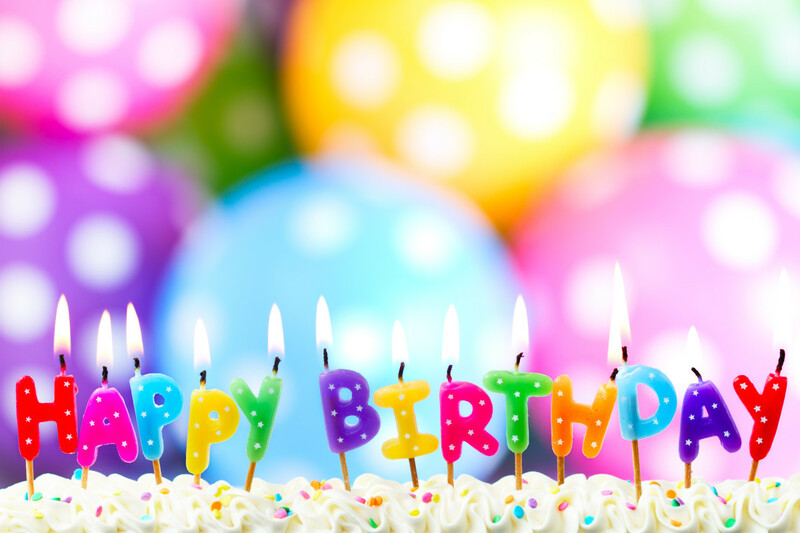 Whatever wording you choose, you are sure to create a great birthday invitation to send to all your party guests. Decorating for a sea-themed party is super easy and quite surprisingly inexpensive. For the birthday banner, I used a bamboo beach mat that I already had at home. 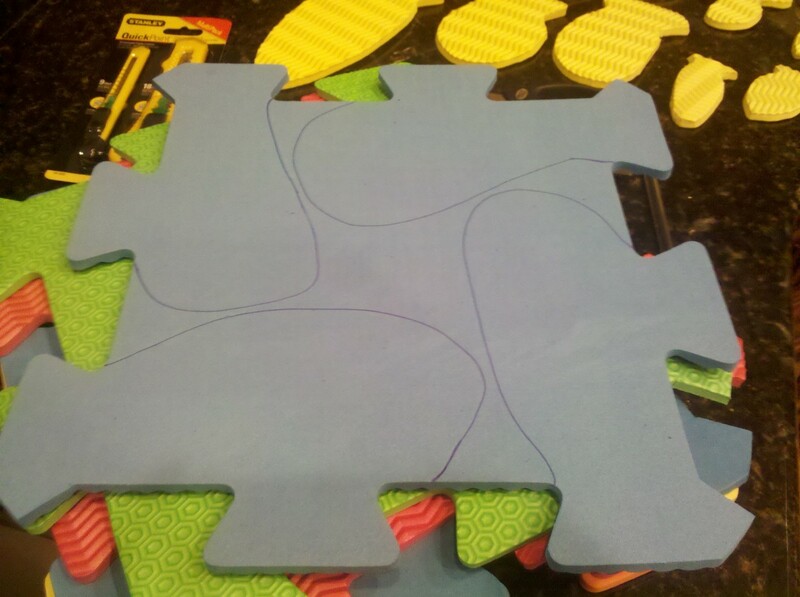 I cut out several fish shapes from cardstock and wrote a happy birthday message to my son. With a hole puncher, I created a hole on the tail of each fish. I then altered paper clips to resemble fish hooks and attached these to the tails. 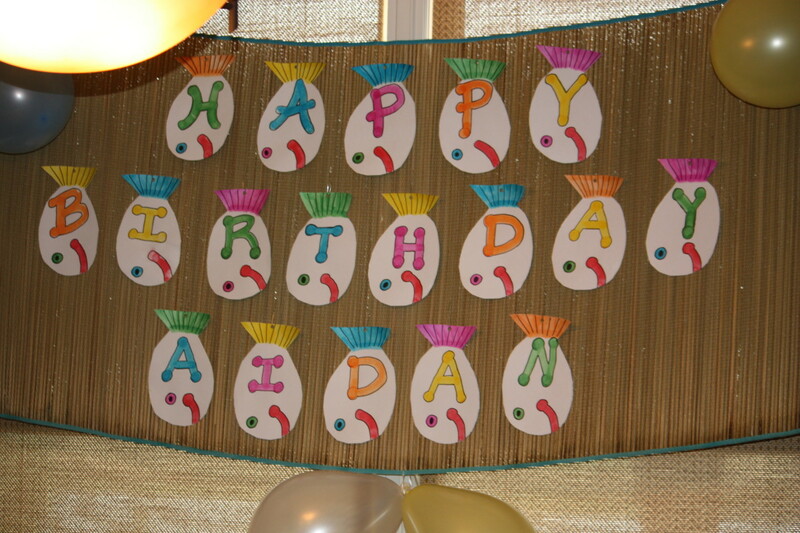 With the hooks in place, I placed the fish on the bamboo mat to spell out "Happy Birthday Aidan". Another cute idea would be to hang these fish on a large fishing net on the wall. For the table décor, you can either find sea-themed plates and napkins or just go for a simple beach color theme. 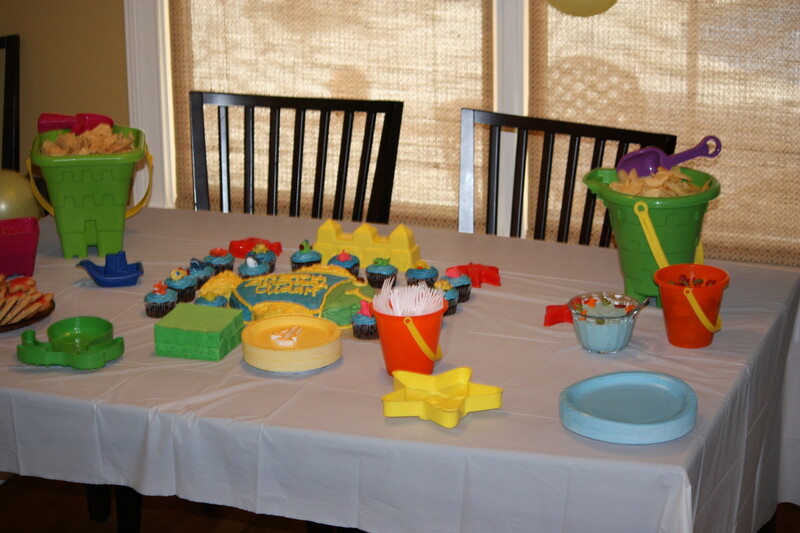 We went for a colorful theme with large ocean blue plates for the food, small yellow plates for the cake, and green napkins. 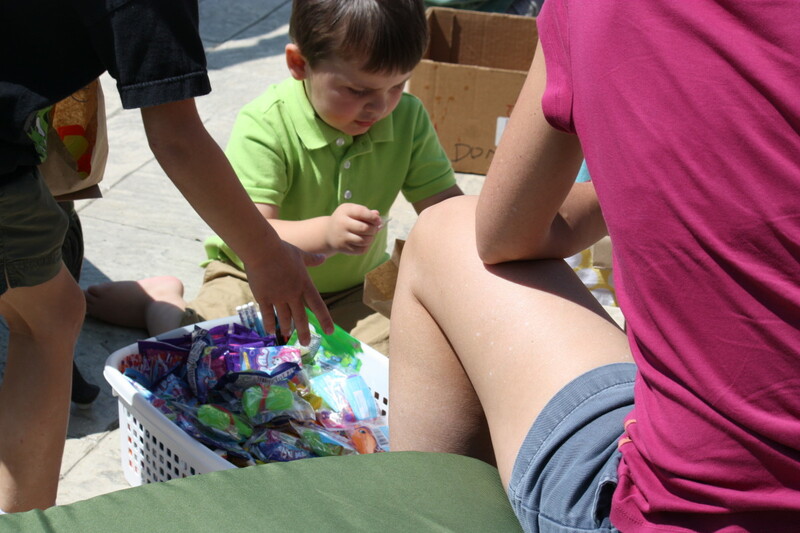 We set these out on a white tablecloth and used brightly colored sand buckets and other sand toys as food containers. Brightly colored balloons also decked out the party area. No birthday party would be complete without some fun party foods to feed your guests. We served pizza and a couple of ocean inspired side items. 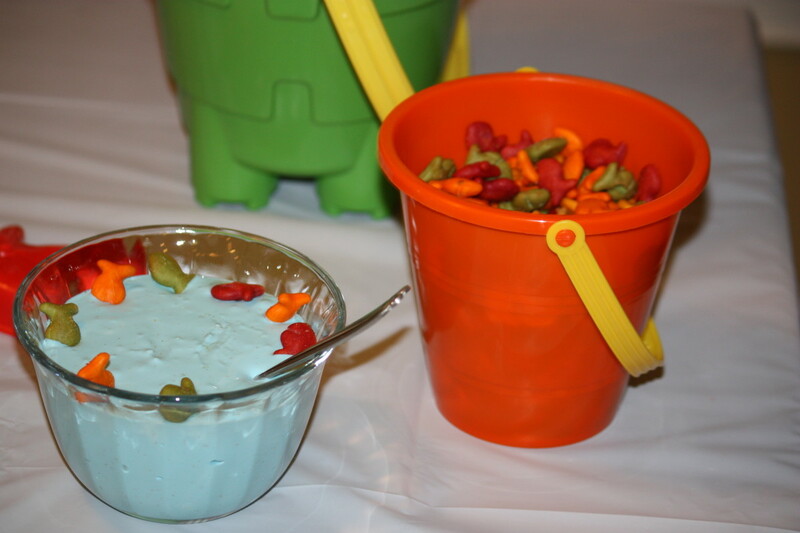 These items were spread out on the table and presented in brand new colorful sand buckets and sand molds. First on the side item menu was chips and dip. We had a selection of potato chips and goldfish served with an ocean dip. To make this dip, just add blue food coloring to french onion dip and throw in some goldfish for decoration. 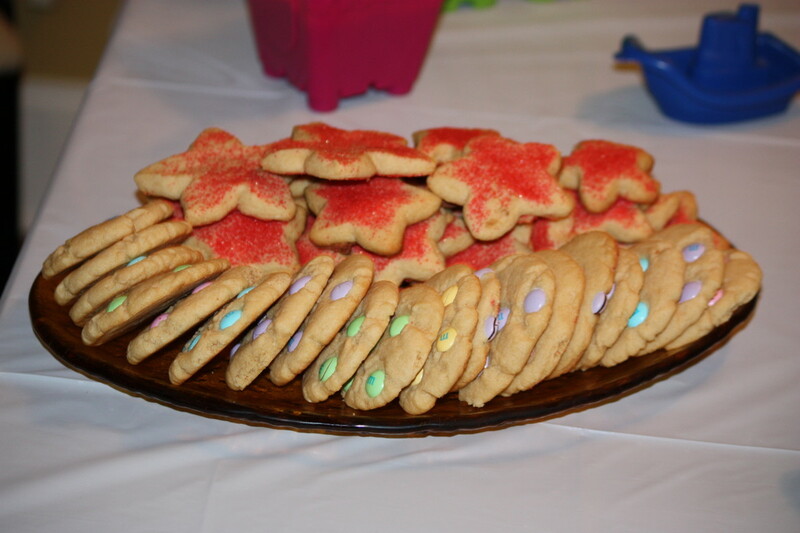 We also had fun sprinkled cookies cut in starfish shapes and M&Ms cookies coordinating with our beach color theme. For the birthday cake, I made a fish shaped cake and under the sea cupcakes. For more information on how to create these cakes for your party, check out Fun and Easy Cake Ideas for an Ocean Themed Party. To keep the kids entertained at the birthday party, we came up with a fun game to play by my mom's swimming pool. If you don't have access to a swimming pool, a plastic pool filled with water is a great substitute for this game. We also used this game as a way to let the kids fill up their own goodie bags. Below is a list of items you will need and directions to creating this fun fishing game for the kids. 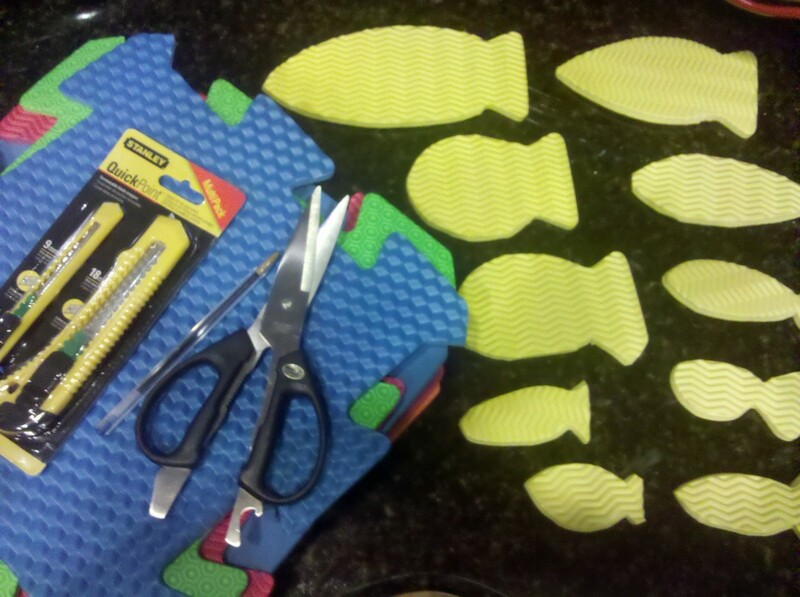 Cut fish and other sea life shapes out of foam mats using a pair of sharp scissors. We used colorful mats to create different kinds of fish, whales, sharks, and starfish. 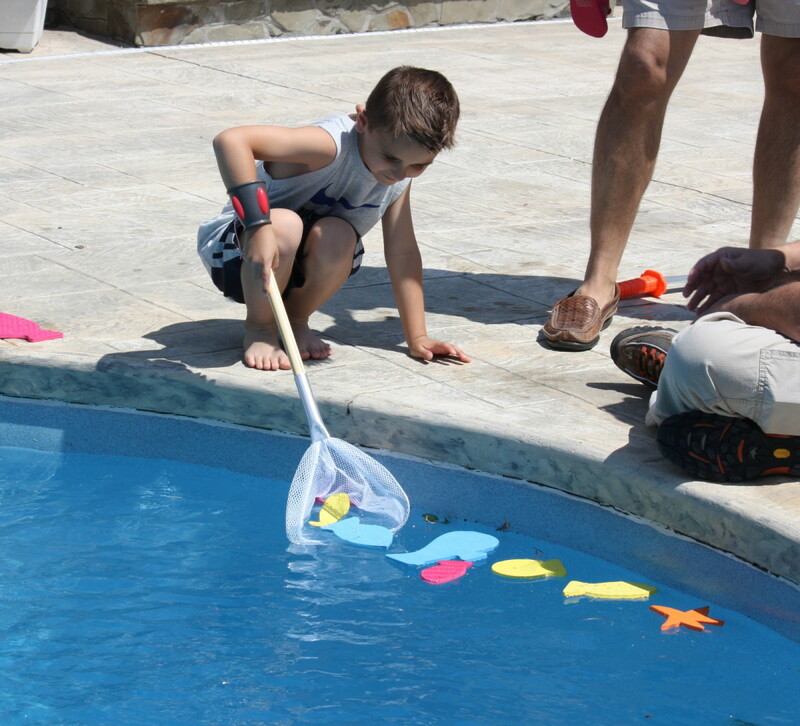 Write a number on the back of the fish or have a point system in place for each kind of fish caught to win prizes. Hand out fishing nets and allow kids to fish for a certain amount of time. We let three kids fish at a time and set a time limit of one minute to catch as many fish as possible. At the end of one minute, count up the number of points and let the kids choose out of the basket of prizes to fill up their goodie bags. Our basket of prizes included sea life water squirters, small water guns, ocean gummies, stickers, tattoos, pencils, and an assortment of candy. 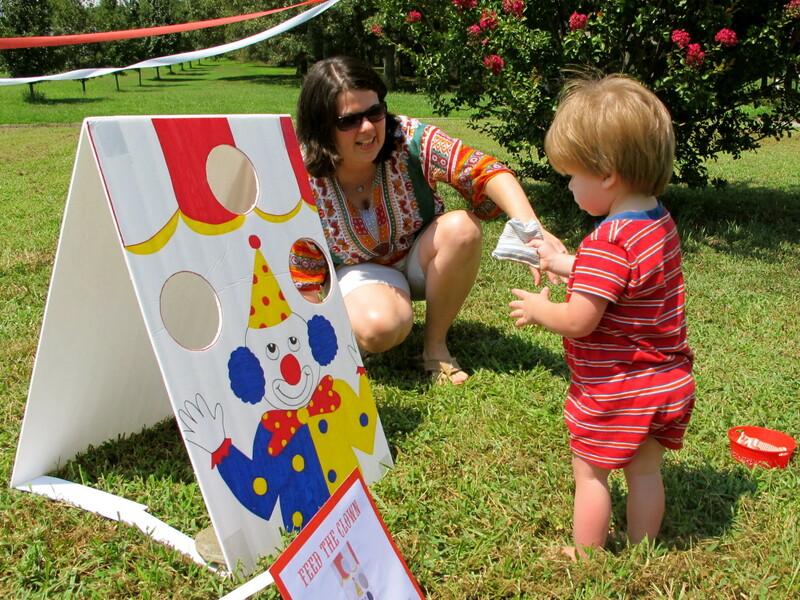 If these weren't enough, there are 5 Fun Party Games for Kids for both indoor and outdoor ideas to help keep the kids entertained at your next party that you can check out. An ocean-themed birthday party is an easy theme to host if you are living on a limited budget. With a little imagination and creativity, you can create a fun birthday party for your little one without spending a fortune. By following the above party ideas for my son's ocean-themed birthday party, I easily saved over $100 by making my own invitations, decorations, and by baking my own cake and cupcakes. I hope you have found some fun and creative ideas for your ocean-themed birthday party. If you have any questions or comments about the above party ideas, feel free to add these to the comment section below. Happy party planning! Which party idea will you be using for your ocean themed party? Thanks so much for your sweet comments ishwaryaa22! He had the best time. 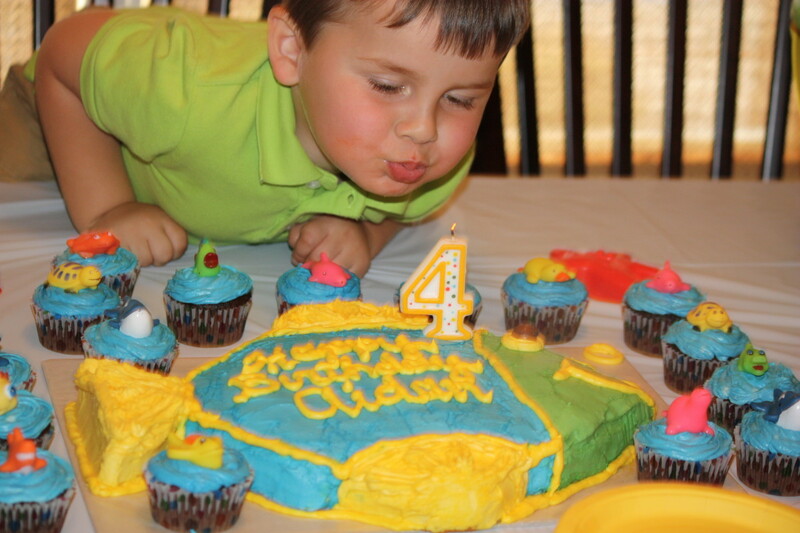 In fact he is already planning out what kind of party we are having when he turns 5 :) Appreciate you stopping by, for the votes, and for sharing! Wow! I enjoyed reading this engaging hub! 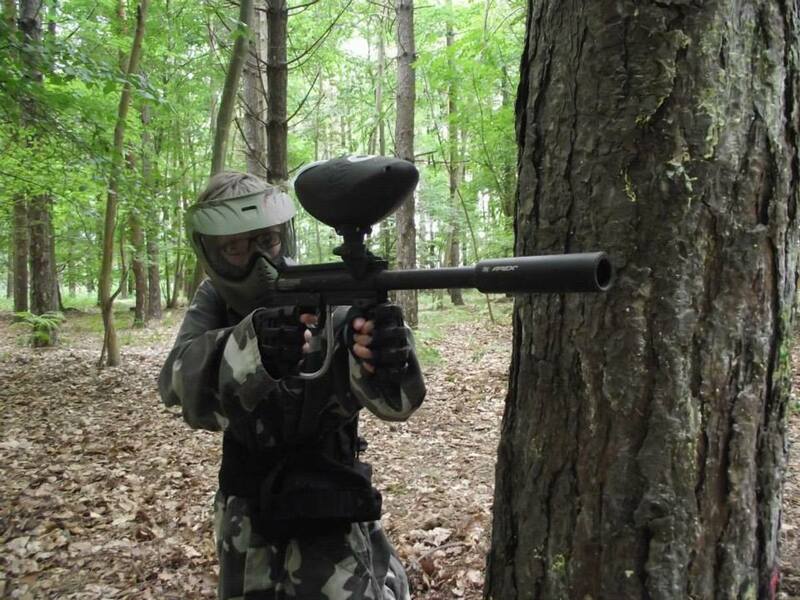 Look like your son had a lot of fun on his birthday! The ideas and photos are displayed wonderfully by you! The birthday cake looked very attractive! Well-done! Thanks for SHARING. Pressed all the buttons except funny(sorry). Voted up and Socially Shared. Thanks so much twentyfive! 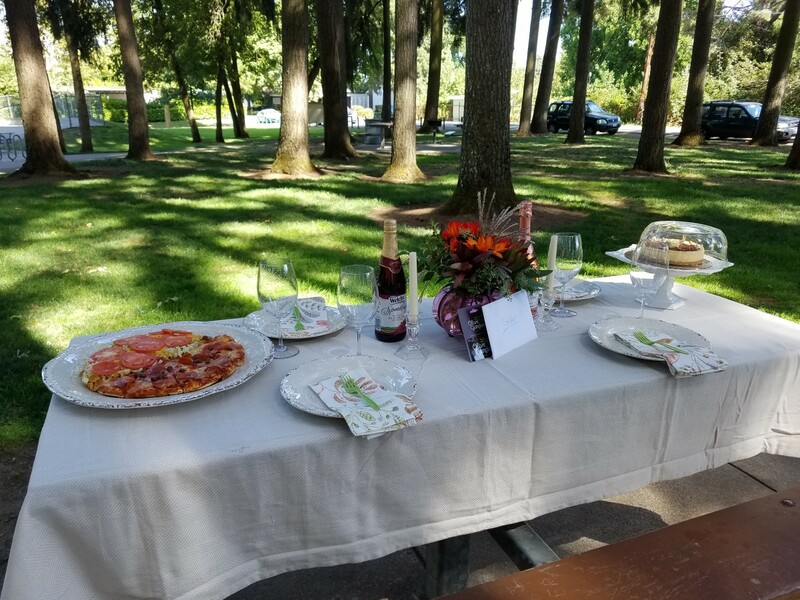 The kids enjoyed the party but you really could take these ideas and make a fun adult party too :) Appreciate the visit and for your sweet comments! Oh this is just perfect and exciting. Everyone can enjoy this kind of party aside from the kids ;) Excellent ideas! Why thank you prasetio30! So happy to hear that you liked the ideas and will be passing them along to your students. Appreciate you stopping by and for the vote up! Very inspiring hub and creative as well. I love your tips and I'll share with my students. Thank you very much. Good job and rated up! Thanks so much melissa! It was a fun party! Appreciate you stopping by and commenting! 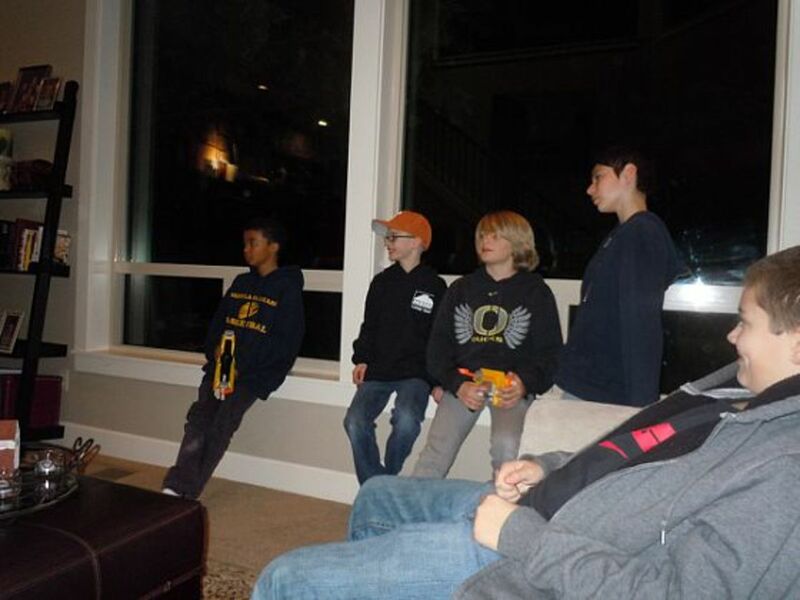 Your party ideas are so interesting and really looks like fun! Thanks so much Rebecca! 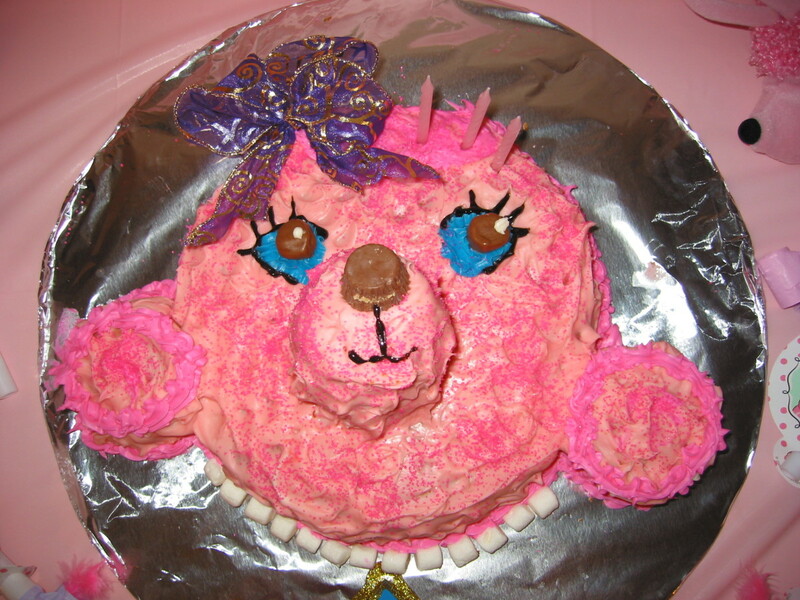 Those cakes were fun and super easy to make. Appreciate you stopping by and commenting! Thanks Cara! He had the best time. He was too cute getting all excited opening every present. Wish I could keep him this age forever! Appreciate you stopping by! Thanks randomcreative! So happy to hear you liked the ideas! Appreciate your visit and comments! I love the fish shaped cake and the cupcakes to match. 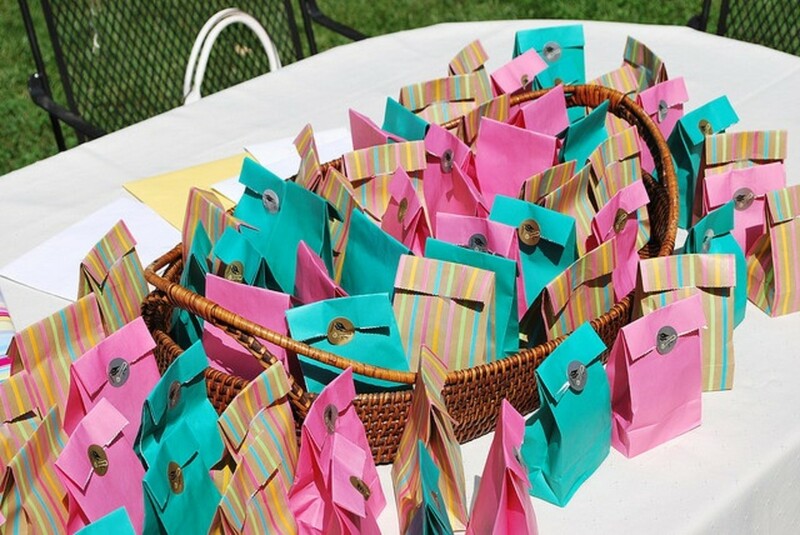 Very cute ideas!Just in time for summer birthdays. Very cute and well put together party and hub! It looks like the birthday boy had a lot of fun! Your directions and pictures were great! Well done Alissa! Everything is really cute. I'm glad that the kids loved it. I know that your ideas will be helpful to others, too. Thanks so much thebookmom! It was a fun party to plan and the kids loved it. Appreciate you stopping by and for your sweet comments! Hi teaches12345! The fishing game was fun and I am proud to report that no kids fell in the pool. (Even though a couple kept asking if they could jump in!) Thanks so much for stopping by and for your kind comments! Super Cool Party! I love the banner and the cake. Your presentation looks great, really engaging. Well Done! I do love those party store items for celebrations, but they do cost a pretty penny. Your ideas are simple, cost saving and still beautiful. I love the fishing idea, I would even do this. I am ready for that party!